With this blog post we would like to provide you with all the information you need to know about the T’Blade system. 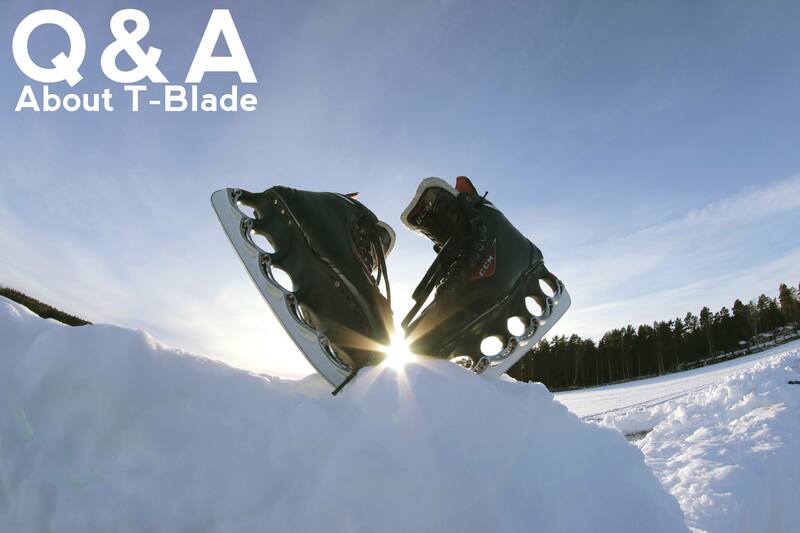 – Answering the most frequently asked questions FAQ about T-Blades. – Give you some tips & tricks. – What are the advantages & the disadvantages? – What are the technical characteristics? – How to use and maintain them properly? 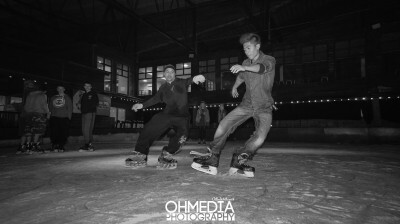 – For what kind of Ice Freestyler are T-Blades adequate? Check out our YouTube video about T-blades! The logo of the Red Flame and its t’blade name means in full “Thermal Blade”. Due to the very low mass of metal (blade thickness is 1 mm) the contact area may heat up faster and to a greater degree than traditional blades during skating. Due to the low mass of metal the blade heats faster and becomes hotter (+40%) than a traditional blade which improves the gliding on the ice. In conclusion, a higher heat of the blade provides better maneuverability, easier acceleration and reduces speed loss. What are the most important benefits of T-Blades? – Lighter blades than conventional blades. – Laser sharpened for superior grip. – A more solid and durable sharpness than conventional blades. – An identical sharpness with every replacement of the blades. – Replacing blades fast. It takes only a couple of minutes. 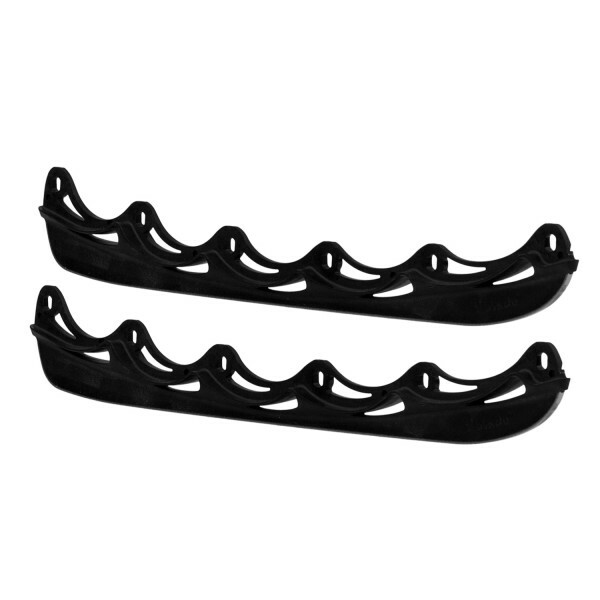 – Plastic reinforced with fiber glass or even carbon for strength, less weight and excellent maneuverability. What are the characteristics of T-Blades? The whole blade holder is made of fiber glass for greater lightness compared with traditional blade holders. The blade runner is made from plastic reinforced with fiber. The sharpening is done by laser in the production plant itself! The manufacturing and sharpening of blades by a machine allows to reach an accuracy that cannot be achieved by the sharpening of a blade by hand. The blades cannot be sharpened again after being purchased. They are made to use only once until the sharpness is gone and should then be replaced by new blades. Electronic laser sharpening enables superior grip & more durable than conventional blades. Where does this sound that only T-Blades provide come from?Thanks to the plastic which is attached to the 1mm thick blade. 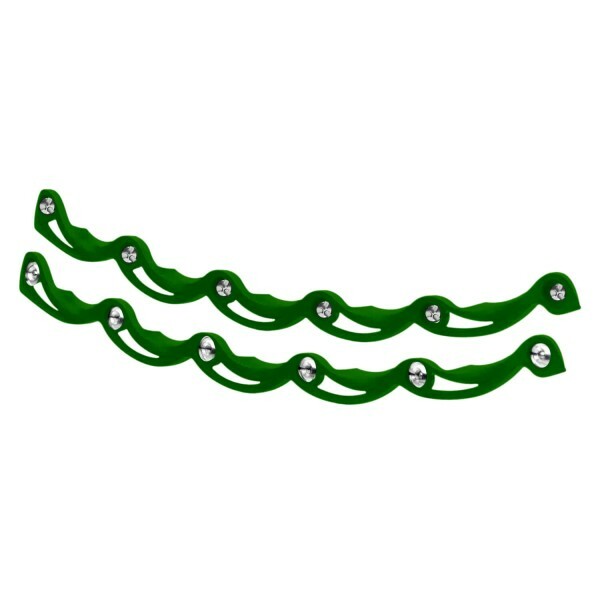 It’s a type of plastic that stays flexible while enduring heavy pressure during skating. 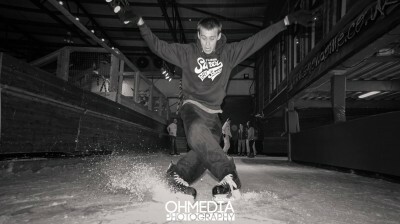 The movement of the plastic while skating creates the special sound which is typical for T-Blades. Simple and fast without much effort. By using the t’blade screwdriver (included in the full package or separately purchasable on www.t-blade.de) you simply have to unscrew all the screws, replace the used blade by the new one, screw all screws back in place and you are ready to go! It only takes a couple of minutes. 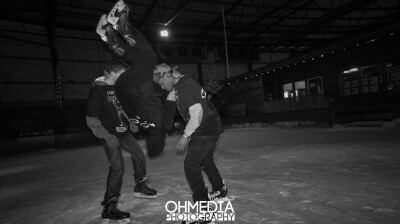 The strength of T-Blades in the sport of Freestyle Ice Skating has been proven and tested in many situations. Repeated stops/breaks, jumps & ramps on ice. The t’blades are highly resistant to all the different loads if maintained well. Of course, you have to maintain them as you have to do with traditional holders and runners yet maintenance is often forgotten. – Blade protectors enhance the durability of the blades and prevents the appearance of substantial defects. 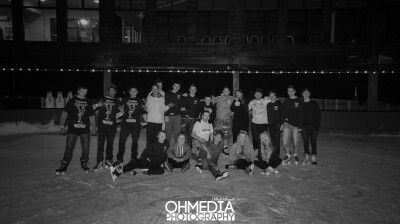 – Do not throw the skates/blades on the floor. Do not stand or place them on wooden, steel, hard plastic or concrete surfaces. Only stand or place them on rubber / soft plastic surfaces. If these two simple requirements are met you will be able to use the same pair of blades for a decent amount of time. 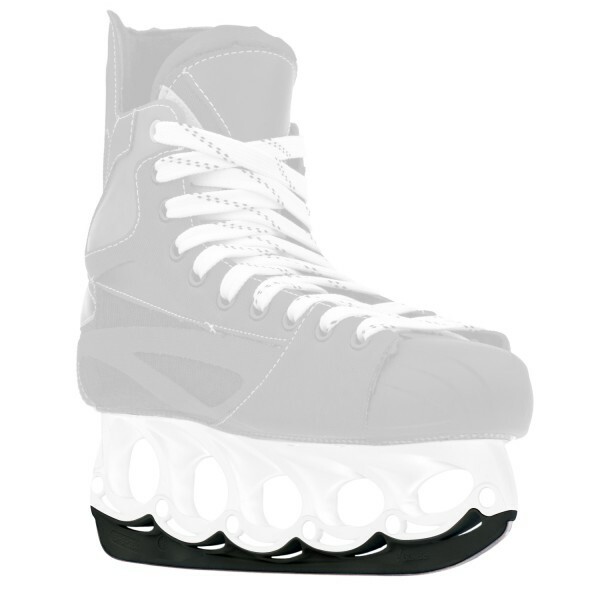 The T-blades will have a durability life of about 1 to 3 months for regular skaters (twice a week) and from 4 to 6 months for casual skaters (skating only once a week). All this may vary based on your weight, your skating style/the tricks you perform. What are the components of a T’Blade system? You can buy skates which already have a T’Blade setup. You can buy a complete set and place them (or let them place) on your ice skates. 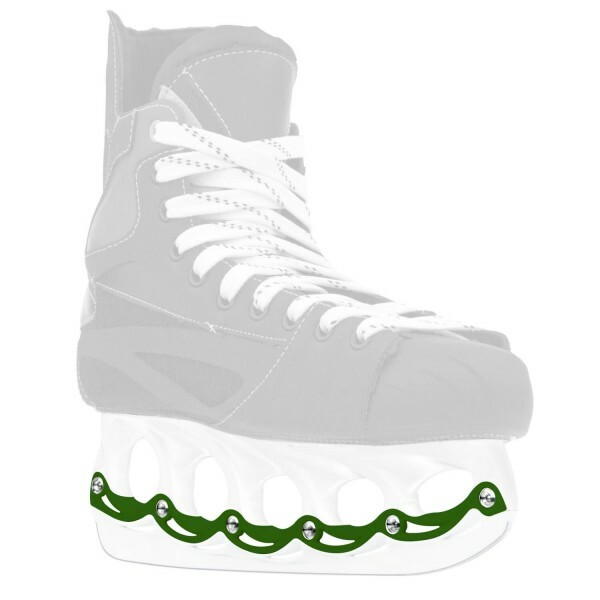 You can buy each part separately and place them (or let them place) on your ice skates. This is if you want to have a setup with different colours for example. The bladeholder can be in plastic or carbon fibre and is available in different colours. 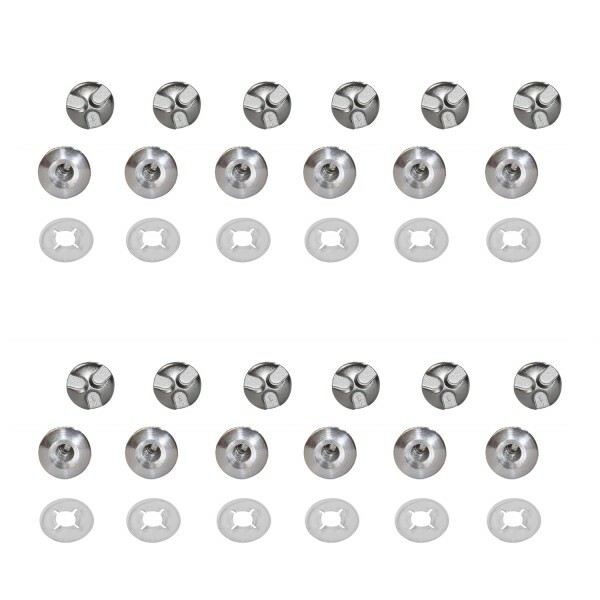 You attach them to the bottom of your ice skate with rivets. A stabilizer connects and holds the bladeholder with the runner. The stabilizer is made of fiberglass. It allows a compact and stable connection between all parts. The clips do not have any purpose regarding to the skating itself. It is mainly a way to customize your T-Blades. These days there are two sort of screws for T-Blades, classic ones or specific T’Blade ones which can only be placed an removed with the specific T’Blade screwdriver. The specific T’Blade screws, with a triangle form, are recommended as they are more solid and especially made for T’Blade. The runners have special characteristics which are explained beneath. The runners are available in two official colours, black and white, but can be customized as well. How to choose your T-Blades based on the technical characteristics? ► How to understand the specifications of the blade (eg M – 13-272) in order to be able to choose the blades who fit you best? The letters mean the contact area between the blade and the ice. L: more stability, high speed (greater linear stability, speed and a big curve). 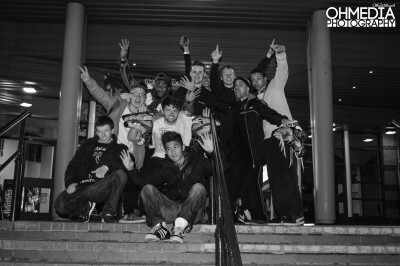 There are 6 different types of sharpness: 9-11-13-15-18-21. A deep hollow radius (eg 9 and 11) provides better edge support (better grip) than a shallower radius (13,15,18,21). They on the other hand help improve the ability to glide. In short: 9 and 11 have the most sharp blades, 13 and 15 have standard sharpness, 18 and 21 provide a good ability to glide but are less sharp hence you will less grip. This means the length of the blades you have, based on the size of your foot. There are mainly 7 sizes of blades: 248-256-264-272-280-288-300. With all the information above you should now have to be able to understand the differences between blades and you know which kind of blade fits you best. ► How to choose your size? 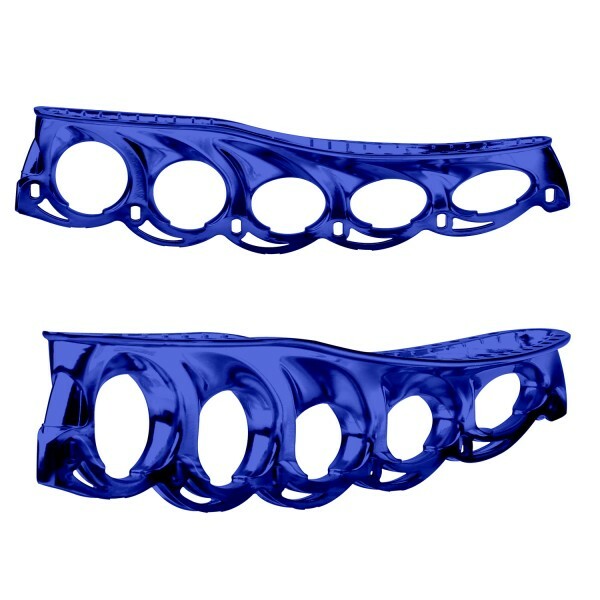 Take your skates with the normal bladeholders. Look somewhere on the heel of the bladeholder and you have to see the size engraved in the plastic. If not you can look inside your skate to know the shoe size of your skate. The best is still to look for the size of the bladeholder you currently have. If you know that size you have to pick the size of a T’Blade bladeholder which is closest to the size of bladeholder you have now. At your local ice skating shop. If your shop doesn’t sell T’Blade you can look on the official website of T’Blade which is www.t-blade.de for Europe/Asia and www.t-blade.com for USA. 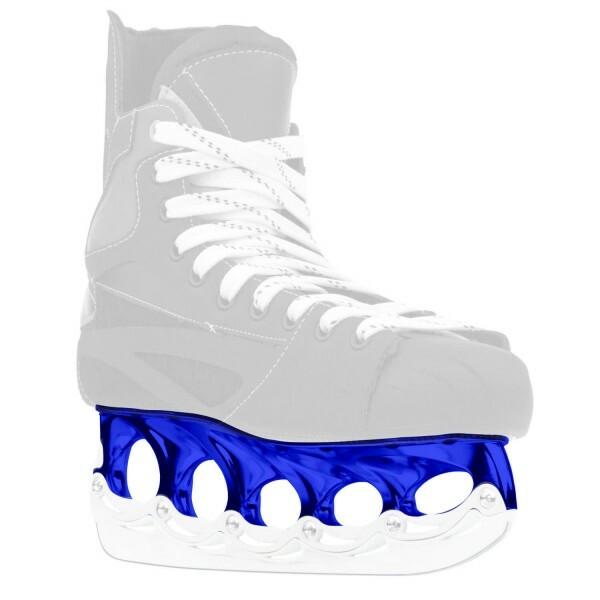 ► How to install them on your skates? To ensure a correct and professional mounting, we recommend having the t-blades mounted by qualified personnel at your specialist retailer. We recommend you to not try to install them yourself! 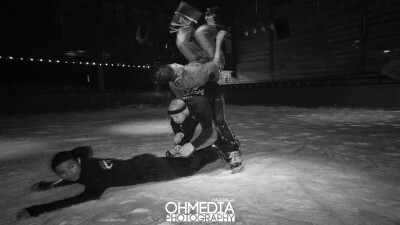 To enjoy all the advantageous features mentioned above it is advisable to let them instill on your ice skates by a specialist. – At your local ice rink who might have the equipment to install bladeholders. 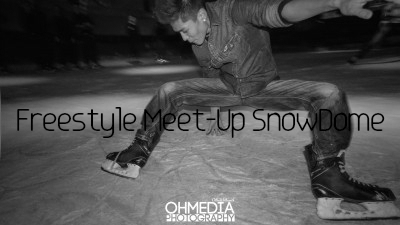 – Specialized ice skating shops nearby you. ► What is the difference between standard T’Blade bladeholder and the carbon fibre one? Unlike the standard T’Blade bladeholder, the carbon fiber one is not reinforced with glass fibers, but with the carbon fiber. Other than having less weight, it offers users a better transfer of power and is extremely torsionally rigid. Let your imagination run, the customization is almost unlimited. Assemble your set as you want to have a unique and special pair of ice skates. – The T’Blade screwdriver is the most important accessory as it is necessary to replace the blades. – Ice skate bags, blade protection etc.